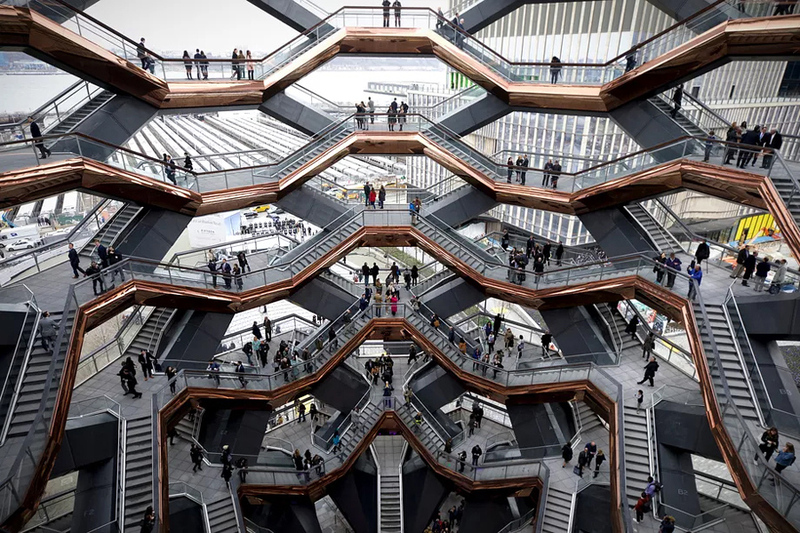 The structure is narrow at the bottom to avoid a large footprint, and expands to a width of 150 feet wide at the top. 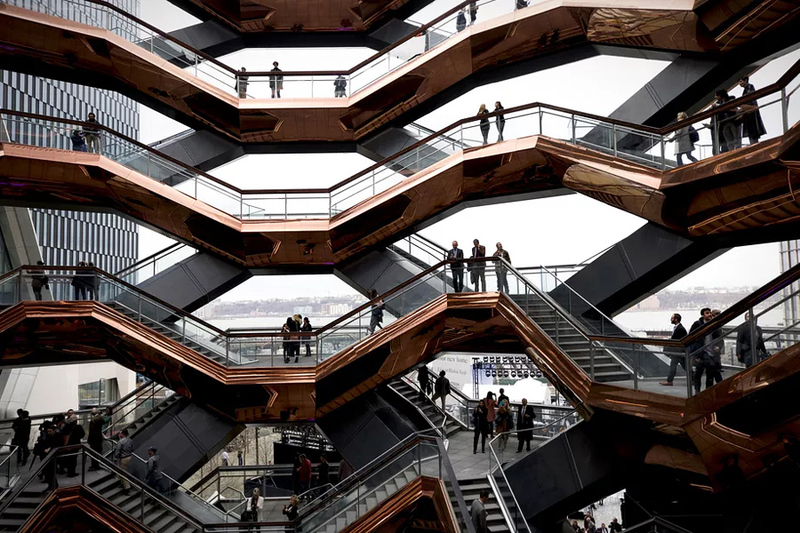 It opened yesterday alongside a plaza and gardens and phase one of the surrounding complex’s retail and entertainment. 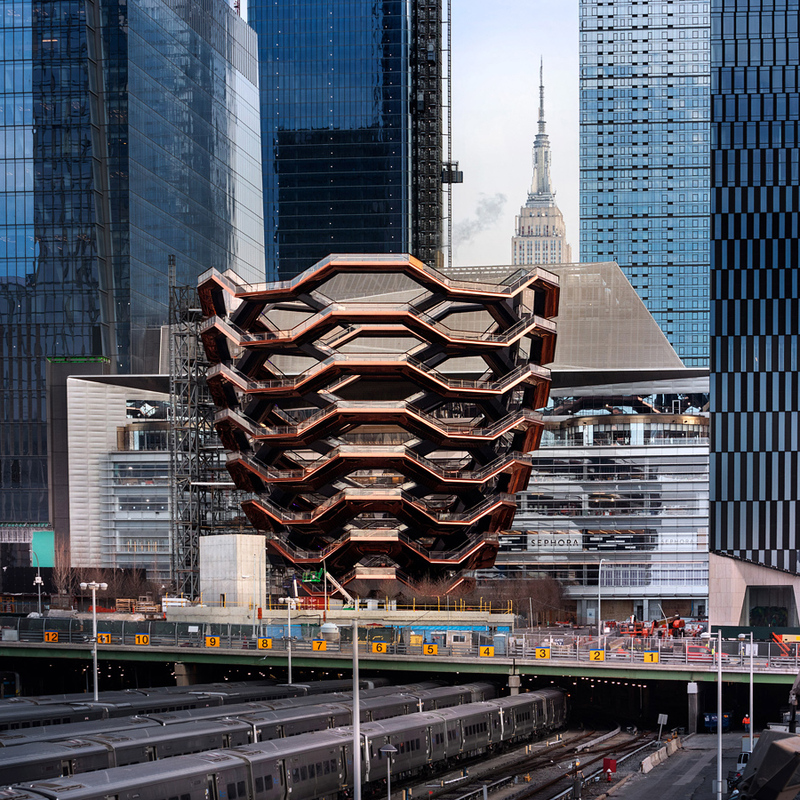 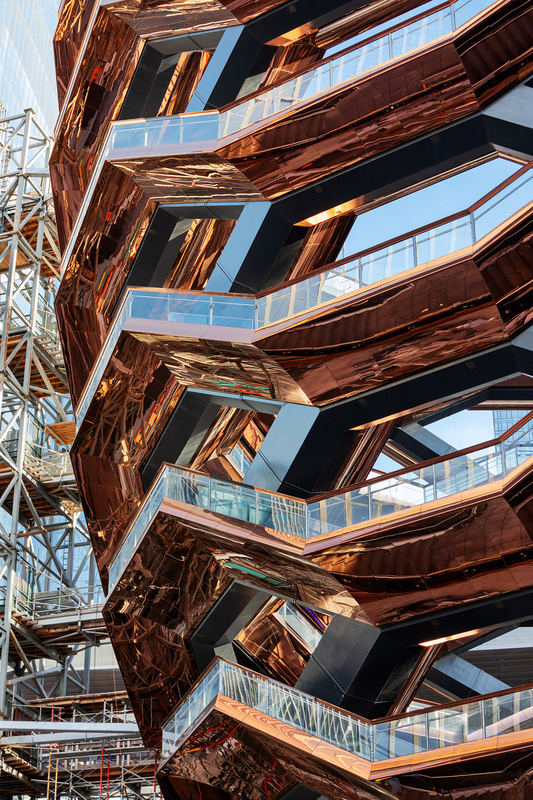 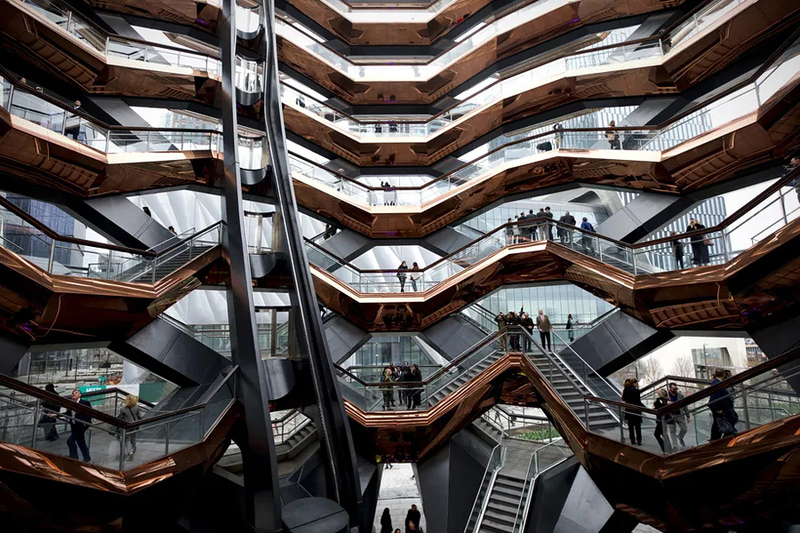 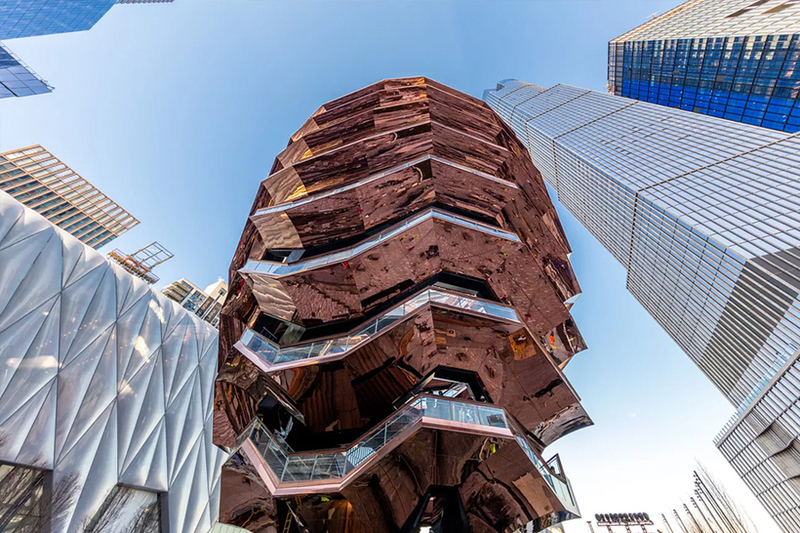 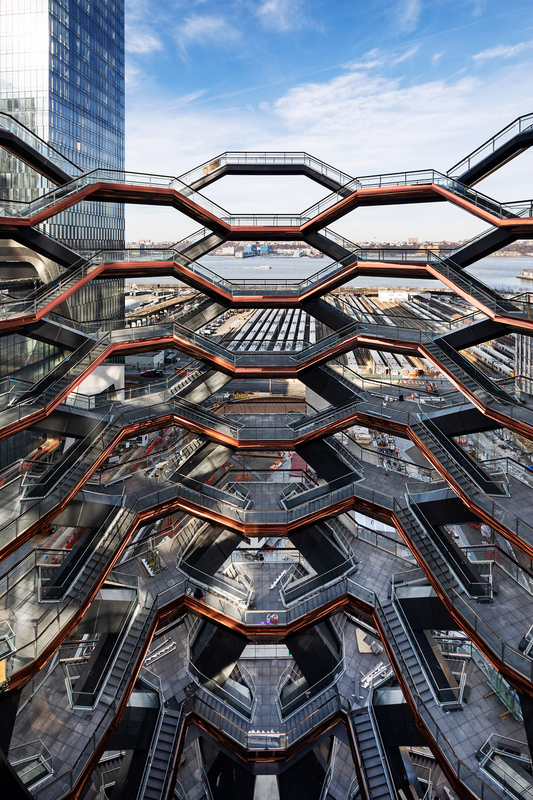 You can reserve free timed tickets to climb the structure on Hudson Yard’s website. 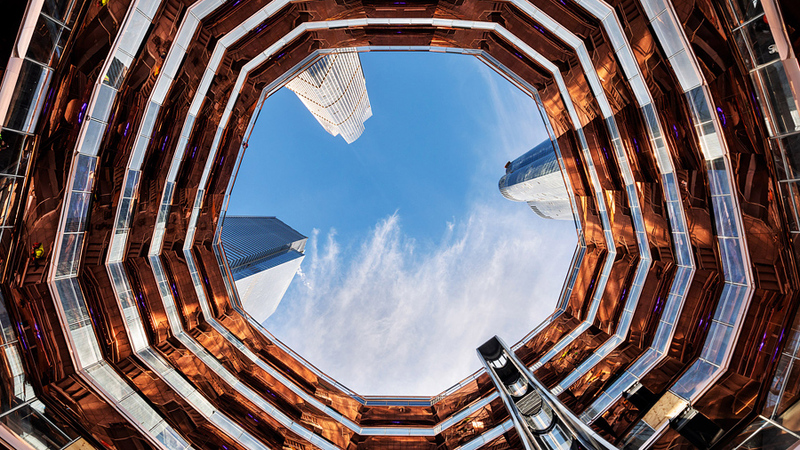 And don’t forget to check TOP 20 tallest buildings in the world.